The solution Gdi is offering the sign industry, is Gdi TRAX. So what about Gdi TRAX is new? An innovative new system of transmitting power has been developed for LED illuminated built up letters called Gdi TRAX; basically it is a new way of delivering power to the individual built up letters. It uses a Gdi TRAX rod system to feed the power to the letters which eliminates the need for unsightly cable between the letters, replacing the cables with a 6mm dia s/steel Gdi TRAX rod system. Consequently, removing the need to use a sign tray to hide the wiring or threading the cable through the fabric of the building that the letters are mounted onto. The advantage of this is firstly that the wiring is not on view to the customer and secondly saves time and money, as it speeds up the fitter’s time on site and removes the cost of additional components such as trays. 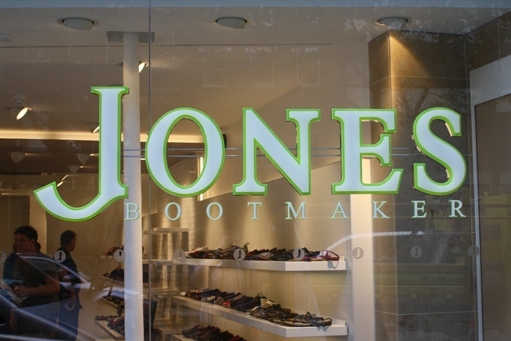 But the most amazing benefit of this system is that it means that our customers can now fix built up LED face illuminated letters directly to glazing without the need to drill the glass. The finished look is not only very neat; it is absolutely stunning, giving a real 21st century solution to 20th century problem. Although the system has not been on the market long, a number of prestigious high street names in retail and leisure are now specifying this system, and having them installed to a number of sites throughout the UK. In times when it is important to stand out from the crowd, even some small independent businesses are specifying this style of sign. It is surprisingly affordable, as you are reducing the cost of the materials and of course the time to install, whilst improving the final look. Prices are subject to specification. If you would like a quote for a current or forthcoming project, please call 0800 146008 or email sales@gdisigns.net . We will email a written quote back to you the same day.